And the scary movie remakes keep flowing in. Just when you thought the remakes of movies from the '80s slasher / killer / horror renaissance is tapped out, they find another. This reappraisal of the 1987 movie cannot really be shot down by me too much, since I didn't exactly find the original that captivating in the first place (even though many would consider it a classic). A disturbed man with a warped search for the perfect family gets involved with a divorced mother, the two of them getting engaged soon after. 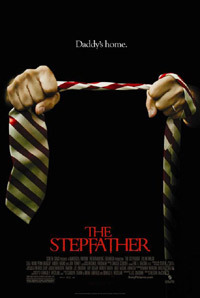 Her son returns home from military school and the stepfather plays the nice guy act perfectly, but when things don't go the way he envisioned it, his deadly urges become hard to suppress and his real personality filters through the fake veneer (those getting in his way being offed in a variety of ways). 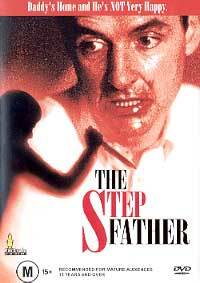 With the stepfather's murderous personality exposed in the opening scene, it is not a case of whether he'll end up doing the same, but just a matter of when - and being an average length movie, you know it will really start disintegrating around 60 minutes to inevitably climax just before 90. As with the original, the makers focus more on the suspense than the gore. With a cast consisting of many TV-famed crew and cast, like Nip / Tuck, ER, Once And Again, 24, House M.D., and Gossip Girl, they do sidestep the danger of it feeling like a syndicated tele-drama. Bonus features include: a commentary track with the director and two main leads, discussing all aspects of the movie; a making-of; dissecting some of the stunts; and a gag reel.